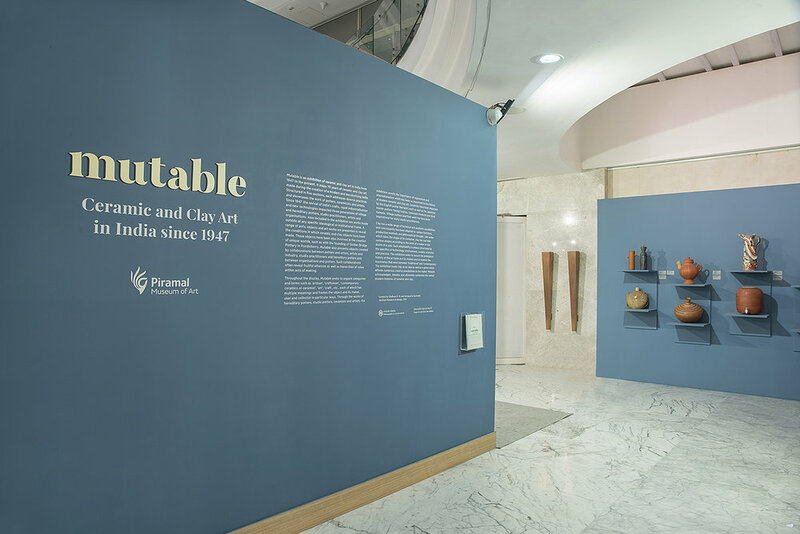 The Mutable exhibition inquired into the changing modes of clay and ceramics arts and crafts in India over the last seventy years. Our identity for the exhibition relied on the sensuous curves of a didone typeface, adapted and customised for greater warmth and legibility. The lettering of the titles has a three-dimensional feel that was rendered with added depth in the exhibition space. 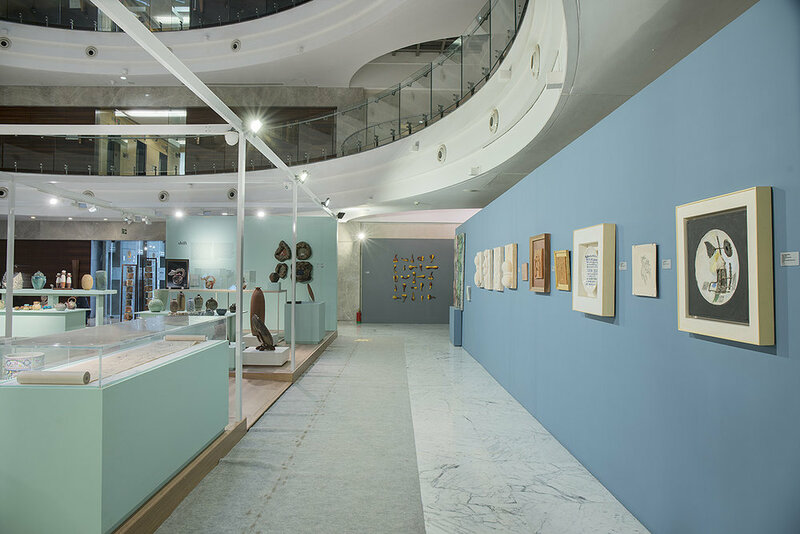 In keeping with the transparent, non-hierarchical nature of the curatorial strategy, we designed the exhibition space to allow for an open, flexible display with fluid circulation between thematic zones. The cool colours of the space were selected to contrast with the warm, earthy tones of the objects. In addition to this we designed all the promotional communications and publications to accompany the exhibition.